We know that sustained growth in economic wellbeing of the people of Bangladesh vitally depends on the rapid industrialization of the country, which requires that Bangladesh has to embark upon large-scale industrialization, but achievement of industrial development of the country is heavily dependent upon the availability of invisible surplus. Although saving is the prime source of invisible surplus, in the absence of a sound and active Capital Market, savings tend to be absorbed by conspicuous consumption or unproductive uses. In our country, it is imperative that savings are used for productive purposes. An efficient Capital Market can only ensure effective and optimum transformation of savings into productive investment. The importance of sound Capital Market need not over emphasized as it contributes to the real economic growth of a country. The speedy Development of industrial activities in the country needs the support of a balanced and efficient Capital Market. A sound Capital Market ensures greater mobilization of domestic savings and also ensures broadening the base of industrial ownership. The sound Capital Market also assists the entrepreneurs whether in the private or public sector to acquire capital for a feasible project. In this connection ICB is playing an important role from the very beginning to make the market stable and liquid. The activities of ICB are pivotal to the Development of the Capital Market in Bangladesh, which is crucial for the sake of accelerating the pace of industrial Development. The underwriting or bridge financing operation of ICB enables implementation of industrial projects by ensuring a part of equity finance. Since inception ICB Committed financial assistance to the tune of taka 249.68 Crore to 353 projects and disbursed taka 114.12 Crore to 307 projects, it is to be mentioned that 88 projects offered shares to the public amounting taka 181.68 Crore. ICB became trustee to the debenture issue of the 12 companies with the amount of taka 44.15 Crore. In the recent time ICB has given an advance against unit amounting taka 4.30 Crore and lease financing against 14 applications with he taka 7.39 Crore. Under investors’ scheme about 75654 accounts were opened with deposits of taka 217.75 Crore. The corporation successfully floated eight Mutual Funds and issued Unit certificates. From the above statistics, it is proved that ICB’s activities have provided the basis for both the demand for and supply of securities, which are integral part of the Capital Market. To match theoretical knowledge with that of practical field, internship plays a vital role for the students of business education. With this program the student get experiences and know that how much theoretical knowledge is deviated from the real facts. To give the test, each business students of Dept. of Marketing, University of Dhaka have to carry out an internship program. That’s why; I had been placed for internship program in Investment Corporation of Bangladesh (ICB) for a period of three month. I have got the opportunity to work in the Investment Corporation Bangladesh, as a part of the internship program. As I finished the MBA Academic part can understand finance, marketing management and economics. It was time for me to get real life experience. Having understanding this I decided to do my internship in renowned bank. Now days everybody wants to do there internship in private bank as they are performing well. As I came to know that ICB is an equity financer for the corporate investors and only disburse long term finance, and play a vital role in capital market, I decide to do my internship in ICB. To find out the present condition of Bangladesh Capital Market. To evaluate the performance of ICB towards the Development of Capital Market in Bangladesh. To go through all dept. of the ICB and observe how the works are going on. To acquaint myself with the practical aspect of the organization. To evaluate the effectiveness of ICB in the Capital Market. The scope of the report was basically the operations and practices of Investment Corporation of Bangladesh, in which I had undertaken the internship program. The scope of the study was in the organization, Investment Corporation of Bangladesh (ICB). The study was confined only on the Head office and gave more concentration on it. The data comparison was based on published information and an additional survey was performed to get in-depth information, as it was the part of the objective of the report. The empirical part included only published information and current practices of Investment Corporation of Bangladesh. Unavailability of relevant papers and documents. Relevant data sets, papers & documents were not available for us. These convey their inability for not providing all materials. Our capital market is shallow & imperfect that is why various financial analyses can not be applied to judge the performance of ICB. 2. ICB, AN INVESTMENT BANKER, MARKET MAKER AND SECURITY MUTUALIZER. Investment Corporation of Bangladesh (ICB) is a statutory corporation. It is mainly an investment bank. As an investment bank is a financial institution, which mobilized fund from the surplus economic units by savings securities and developed funds to the deficit economic unit also by buying or underwriting securities After liberation in view of social economic changes, the scope for private sector investment in the economy was kept limited by allowing investment in projects up to Tk. 25 lacs. The new investment policy, which was announced in July, 1972 provides for an expanded role of private sector by allowing investment in a project up to Tk. 3 crores. The ceiling has further being raised to Tk. 10 crores in spite of the adequate facilities and incentives provided to the private sectors encouraging response was not for the coming. One of the reasons among other was the lack of institutional facilities, which provides underwriting support (Like former ICB) to industrial enterprise that was required to raise much need equity fund. Thus, the need for reactivation for capital market, stock market was keenly feel. The Investment Corporation of Bangladesh (ICB) was established on 1st October 1976, under “The Investment Corporation of Bangladesh Ordinance, 1976” (No. XL of 1976). The establishment of ICB was a major step in a series of measures undertaken by the Government to accelerate the pace of industrialization and to develop a well-organized and vibrant Capital Market particularly securities market in Bangladesh. ICB caters to the need of institutional support to meet the equity gap of the industrial enterprises. In view of the national policy of accelerating the rate of savings and investment to foster self-reliant economy, ICB assumes an indispensable and pivotal role. Though the enactment of the Investment Corporation of Bangladesh (Amendment) Act, 2000 (No. of XXIV of 2000), reforms in operational strategies and business polices have taken place by establishing and operating subsidiary companies under ICB. Investment Corporation of Bangladesh is a Corporate body as per section 3 of Investment Corporation of Bangladesh Ordinance, 1976 and deemed to be a banking company within the meaning of the Banking Companies Ordinance, 1962 (L VII of 1962). The shares of corporation are listed with the stock exchange. ICB is an authorized broker of DSE. To encourage and broaden the base of investments. To arrange consortium of financial institutions including Merchant banks to provide equity support to projects. To encourage investment in Agro-based and ICT sectors. Participating in and financing of joint-ventures companies. Providing advance against ICB Unit and Mutual Fund certificates. 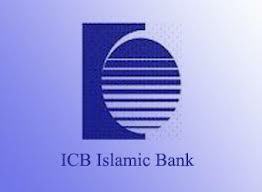 ICB is authorized to act as an agent of issuers and investors for private placement of securities. Under this arrangement, ICB places securities to individuals or institutions on behalf of the issuer for which it charges fees. ICB also acquires shares or securities for its own portfolios. In order to raise long term debt equity from the primary market, the Government bodies, enterprises, corporation or companies may seek intermediary assistance from ICB in the form of underwriting. Because of its long and proven experience, reputation, asset back up and established network of regional offices, ICB is in an excellent position to attract the potential investors to the proposed issue of shares, debenture and other securities for successful floatation of IPO & placement. To act as the custodian to the public issue of open-end & mutual Funds, ICB provides professional services. It also acts as the Banker to the issues and provides similar services through the network of its branches. Fees in this regard are negotiable. Companies willing to expand their business through mergers or acquisitions or to divest projects that no longer fit into present scale of operation contact the corporation. ICB provides professional services & advice in respect of shaping up the cost and financial structures to ensure best possible operation results. ICB provides lease finance mainly for machinery, equipment and transport. ICB is in a position to provide professional advice and financial to the intending clients. The period of lease, rental, and changes and other terms and conditions are determined on the basis of assets and the extent of assistance required by the applicants. Advanced against ICB Mutual Fund Certificates Scheme was introduced in 2003, designed for the ICB Mutual Fund certificate holder to meet their emergency fund requirement. One can borrow maximum of 50% value of last one year’s weighted average market price of certificates at the time of borrowing by deposing his or her certificates under lien arrangement from any of the ICB’s offices. The rate of interest on the loan is reasonable and also competitive. As part of ICB’s business diversification Program, the corporation introduced bank guarantee scheme during the year 2002-2003 ICB provides (i) bid bond for enabling the business people to participate in any tender or bidding, (ii) performance bond for helping the business community to continue their business smoothly by fulfilling their obligations promised by them to their clients, (iii) customs guarantee to solving different disagreements between the customs authority and the business classes at the initial stage. The maximum limit of guarantee is tk.2.00 Crore and would be issued against at least 20% cash and 820% easily excusable securities or against 100% cash margin. Re-guarantee from other financial institutional is required for guarantee against the amount exceeding Tk. 2.00 Crore. ICB has so far floated eight close-ended Mutual Funds. The first ICB Mutual Funds was floated on 25 April 1980, while the Eight ICB Mutual Fund was floated on 23 July 1996. The aggregate size of these funds is Tk. 17.5 Crore. As on 30 June 2004, 33646 certificate holders own these funds. Dividends declared on the funds were very attractive ranging from 14.0 to 200.0 per certificate for 2003-2004. Investors show overwhelming interest in all the ICB mutual funds. One can invest in such funds through the stock exchanges with which these funds are listed. Through corporate restructuring, new mutual funds are being floated through “ICB Asset Management Company Ltd.” –a subsidiary of ICB. It is on open-end mutual fund scheme launched in April 1981, through which the small and medium savers get opportunities to invest their savings in a balanced and relatively low risk portfolio. ICB has so far declared attractive dividends on units every year ranging from Tk. 11.5 to Tk. 25.0 per unit. Investment in units enjoys tax benefits, amount being applicable as per law. However, under the ICB’s restructuring programmed new unit certificates are being sold by ICB’s subsidiary company, the ICB Asset Management Company Ltd. The Investors’ Scheme was introduced in June 1977. Over the years, this scheme has grown tremendously. ICB, at its discretion, may grant up to two times loan against the assets of an account subject to a maximum limit of Tk. 3.0 lacs. An accountholder may use the combined balance of his or her equities and loan to buy shares or securities. To help the investors to develop diversified and balanced portfolio to minimize risk and earn a reasonable return, ICB provides professional advice and other support services. Under the restructuring Programme, ICB operates and manages only the old accounts and new accounts are being opened and managed by the ICB Capital Management Ltd.-a subsidiary of ICB. 3. ICB’S ORGANIZATIONAL STRUCTURE AND MANAGEMENT. As the mentioned earlier the regulatory framework of ICB is the, Investment Corporation Bangladesh Ordinance, 1976. This ordinance and regulations laid under the authority of the ordinance is the source of all power and authority of ICB. Through the recent enactment of “The Investment corporation of Bangladesh (Amendment) Act, 200” (XXIV) of 2000, scope of ICB’s activities through the formation of subsidiaries have been expanded. In addition to these, to resume its duties and functions, it has to compel by Companies Act 1994, Trust Act 1882, Insurance Act 1983, Security and exchange commission Act 1993, banking companies Act 1993, Foreign exchange regulation 1974, Income Tax act etc. The managing directors, Bangladesh Shilpa Bank, Ex-Office. The managing directors, Bangladesh Shilpa Rin Sangstha, Ex-office. Four other directors to be elected by the share holders other than the government, BB, BSB, & BSRS. The managing directors of ICB to be appointed by the government. The board in discharging its functions acts on commercial consider rations with due regard to the interests of industry and commerce, investment climate, capital market, depositors, investors and to the public interest generally and is guided in question policy by the institutions, if any, given to by government which shall be sole judged as to whether a question is a questio9n of policy or not. Mr. Md. Ziaul Haque Khondker. as it thinks fit to assist it in the efficient discharge of its function. So far, board has appointed two such committees. Economic and Business Research (EBR) committee and Loan Appraisal committee is headed by General Manager.